Renowned French chef and restaurateur Daniel Boulud is celebrated for his exquisite cuisine among fine dining connoisseurs across the world. 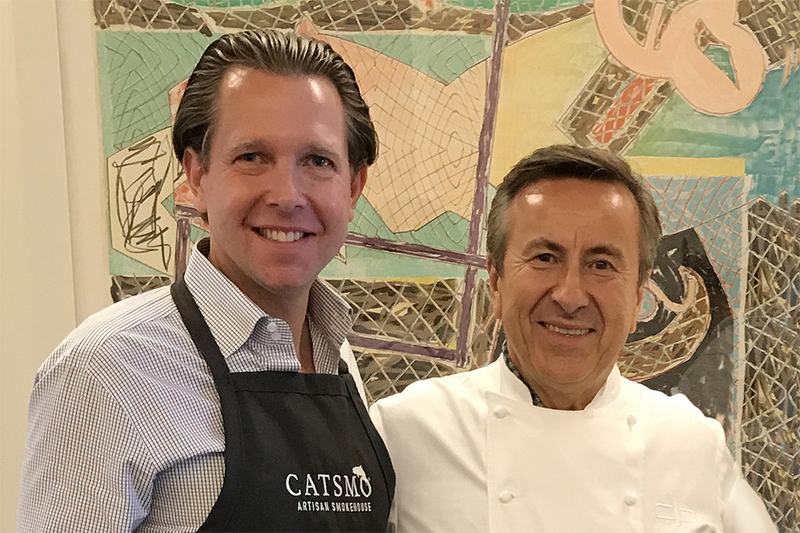 Catsmo Artisan Smokehouse teamed up with Chef Boulud to develop an extraordinary line of custom smoked salmon. 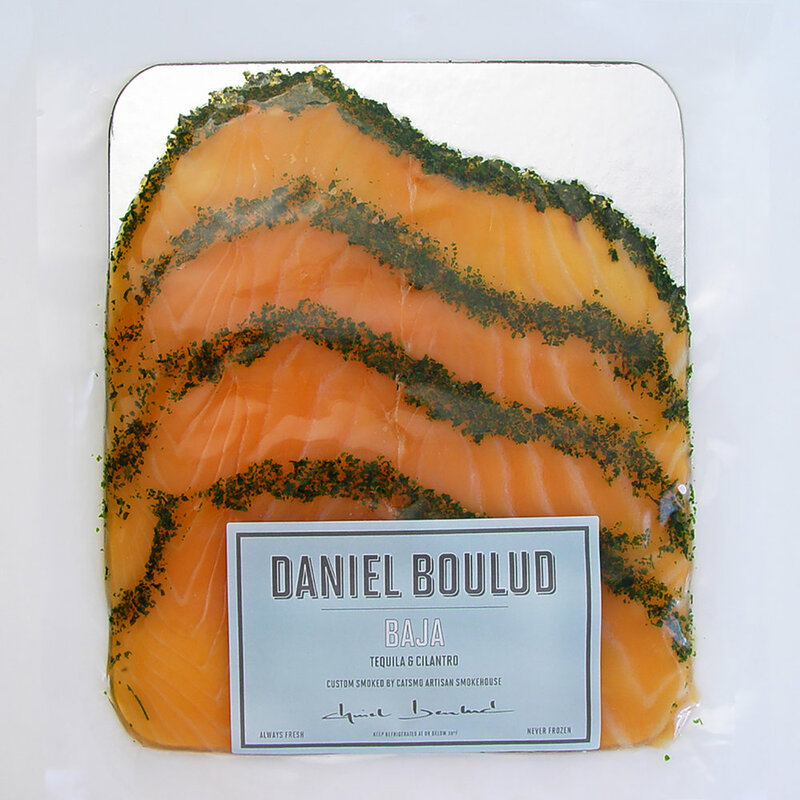 Each recipe was tested and perfected under the leadership of Daniel Boulud. Premium cuts of fresh Atlantic salmon are selected and smoked using fruitwood, resulting in a delicate, silky, and lightly fragrant smoked salmon. 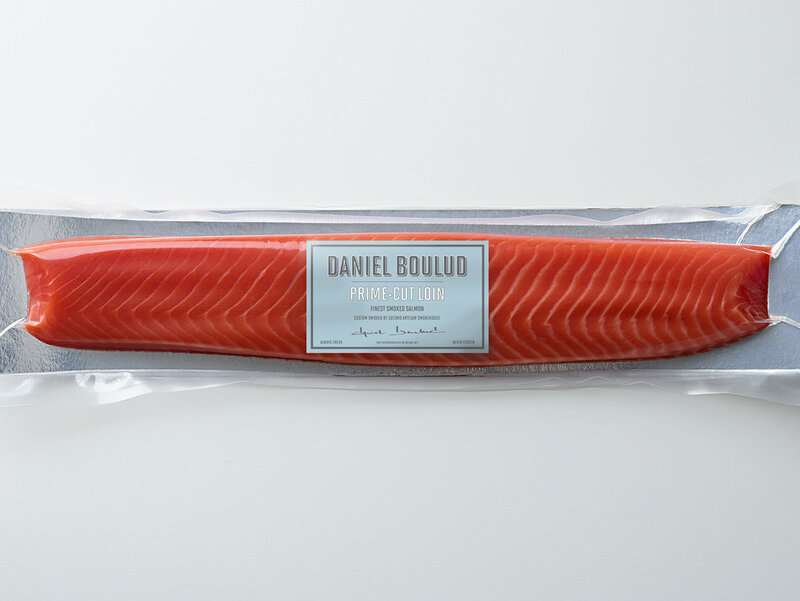 This flavorful smoked salmon loin is cured using a special recipe developed by Daniel Boulud and then smoked in fruitwood, resulting in a delicate, silky, and lightly fragrant product. 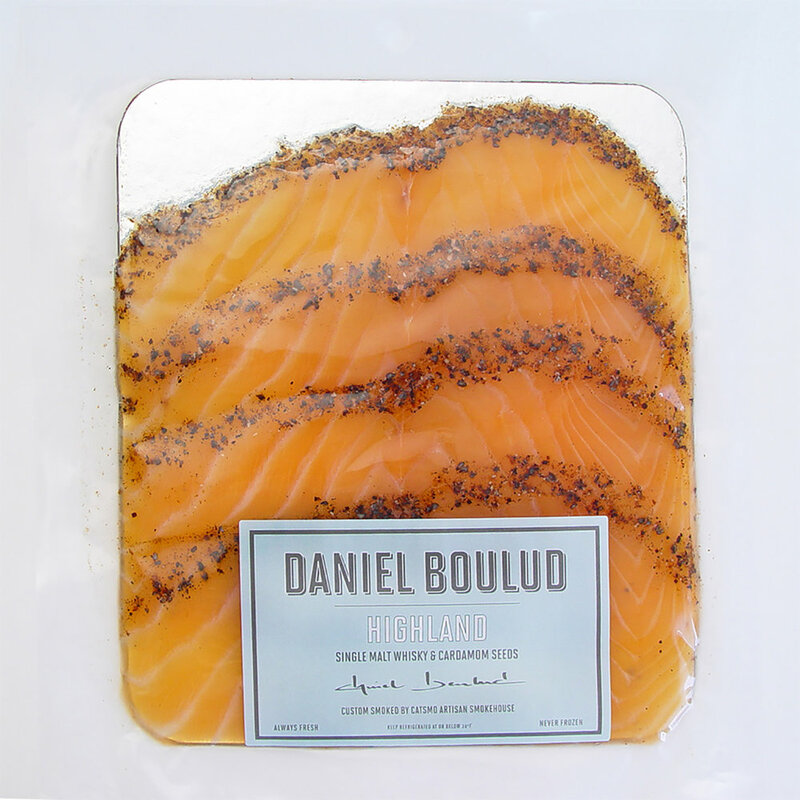 The Daniel Boulud Epicerie line of smoked salmon is a culinary work of art. 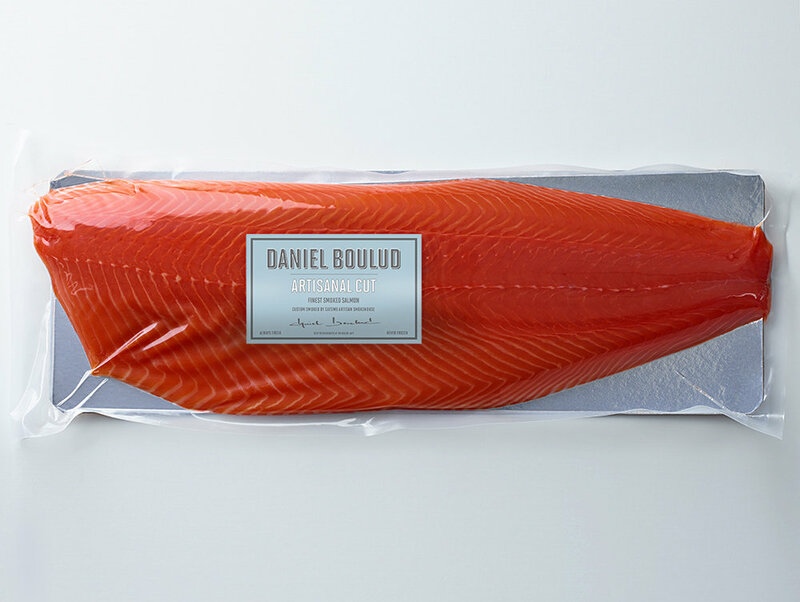 Each of the three flavored varieties start with silky smooth Scottish smoked salmon, cured and smoked using tested and perfected recipes created by Daniel Boulud himself. HIGHLAND is flavored using Whisky and cardamom. RIVIERA is flavored using basil, pink peppercorns, fennel seeds, and Ricard Pastis. BAJA is flavored using tequila and cilantro.